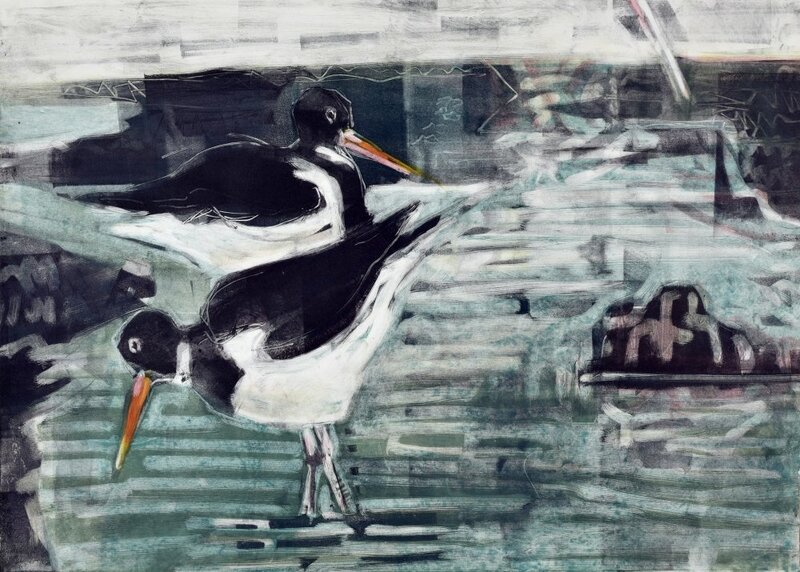 A print made soon after a day spent sketching on the beach at Musselburgh, watching hundreds of oystercatchers busily probing for food and squabbling over their finds. All the birds were feeding energetically, rummaging in the mud and pools with their beaks, emerging with dark, round shellfish and running low to the ground to somewhere they could enjoy them undisturbed. In the monotype I was aiming to give a sense of the expansive quality of the mudflat and the cool, winter light whilst also being playful with layering and mark-making.